Looking outside at this time of year there is that unmistakable flavour of ‘December’ about the surrounding landscape. That might seem like I’m stating the obvious, but it’s fairly likely to be dark, with an air of frosty mist around and traffic gets busier in December for some reason as everyone seems to be wanting to get home earlier, or they are off Christmas shopping to White Rose after work. And that brings us to that most distinctive and widely evidenced indicator that we are deep into December already; Christmas lights, no longer just a sign that we are in the run-up to the Big Day, but now a hefty clue that the calendar has ticked over from November into December, because we simply cannot wait to put our Christmas decorations up. Nothing wrong with that of course; everybody loves the jovial comradeship of the Christmas period, where people’s inhibitions are a little bit looser and our inclination to get out and enjoy life is counteracted only by the warm, cosiness of an entire day in front of the telly with family eating chocolates, mince pies and leftover turkey. Gradually losing all energy and vegetating to such an extent that fetching some pickle to embellish your pork pie is a challenge that takes on titanic proportions by Boxing Day, is not an unusual scenario, while inadvisable and hopelessly out-of-time ‘Dad Dancing’ to something the kids listen to is as mandatory as arguing over EastEnders or the Queen’s Speech. It is all part and parcel of this time of year. But there is something else unmistakable about December this year, but only this year, and it is a feeling that many of us have been fighting for a number of weeks now. There is an unmistakable whiff of Leeds United getting their act together. Let’s be honest, we have been looking for signs that this is just some temporary, and albeit very welcome, blip for some time now. We have been waiting for the lack of depth to our squad to come back and bite us for several weeks as injuries and suspensions have taken hold, but still there are no signs of Leeds faltering. We have been fearful that behind-the-scenes interference will affect morale or stability, or will distract the focus of the team pretty much since the summer……but nothing. 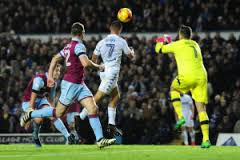 Leeds United is looking like a sturdy and formidable ship sailing purposefully through calm waters, and much as we scan the horizon there is no evidence of a storm brewing or choppy waters to send us off course. Something or someone has intervened to ensure Leeds United is run professionally, with dignity and with a healthy measure of, not just ambition, but realising its very obvious potential. It was never going to take much to get fans to buy into this, just a hint that this is for once the real deal, and the fans are coming back in droves, not just in body but in spirit too; there is an air of buoyancy, drive and energy about Elland Road and December comes with Leeds making a concerted effort to stay in the promotion race having finally discovered where the starting line is. Naturally, there are quite a few Christmas presents that Leeds fans would like; a continuation of the recent winning run over the festive period would be nice. Leeds are traditionally poor around this time of year, but somehow, you think we can cope with the frequency of games a bit better now. We would like the off-field stability to continue, and if there is a takeover or investment happening, as has been widely reported in the media, we need that to happen as soon and with as little disruption as possible. Which brings us to the last wish on our Christmas list; we need a whopping great shopping splurge in January and that’s going to take some money. 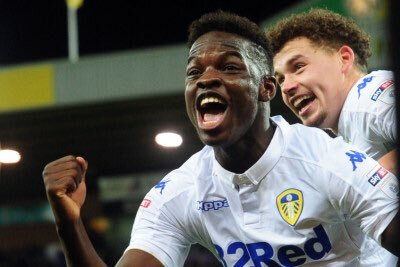 Quite apart from securing the services of key loan players such as Pablo Hernandez and Pontus Jansson – ideally also putting some money aside to make Kyle Bartley and Hadi Sackho permanent transfers in the summer – Leeds also need to make Charlie Taylor a respectable offer and boost the first team squad with more depth, which needs to include more striking options and more pace in the side. This is all before looking at the management team and pinning Garry Monk and his coaching staff down to long term service, before we adopt that very ‘Leeds United’ stance of watching it all collapse around our ears in a clumsy muddle of bad decisions, inactivity and lack of vision. Now is the time, and if the upper management of Leeds United can’t see it, or aren’t prepared for it, then they should expect much wrath. Quite frankly, we’ve been waiting years for this. So 2016 is closing with a surge of optimism and many smiles on faces. At the Old Peacock it has been like that pretty much all year. We have enjoyed another successful 12 months where we have continued to look at our customer base to ensure we do everything we can to make your time with us a very pleasant one. On matchdays we have set on more staff and have introduced the four pint pitchers to try and cut queuing time at the bar, and we have set up live music in the beer garden to help build the pre-match atmosphere up to a euphoric crescendo. The rest is the continuation of a winning formula and the feedback we get is that we continue to provide the best pre-match build-up anywhere around Elland Road. So thank you for all your custom throughout 2016 and we promise to maintain our standards and provide even more in 2017. Away from football our Food Nights and Quiz Nights throughout the week continue to be very popular and our general food menu catches the eye of many passing folk. 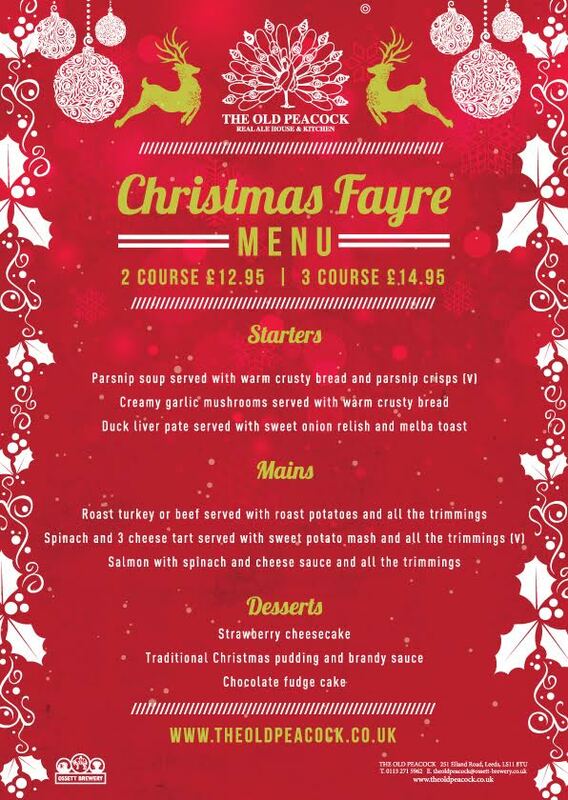 Our Christmas Fayre menu has already started in December, but we still have plenty of places left if you want to call in or phone (0113 2715962) to book a table for your family, friends or work Christmas party. 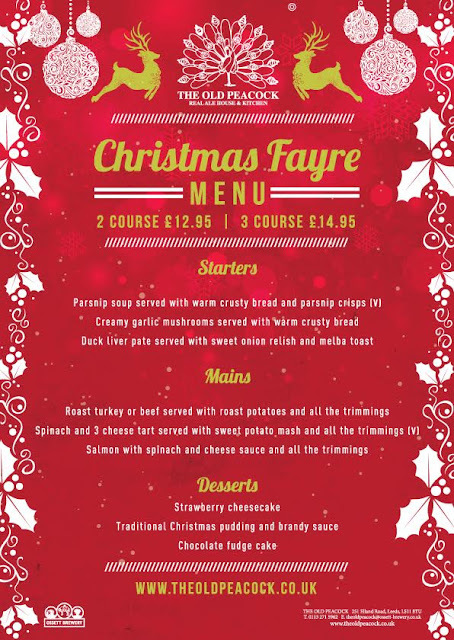 We have catered for weddings and big birthday celebrations this year, which have been triumphant events where the famous Old Peacock atmosphere contributes to a memorable occasion for all. We are happy to play our part and are looking to stage more of these events next year, and on the flipside, we are also promoting our location and facilities as a great venue for business meetings and seminars. Your multi-functional Old Peacock can be adapted for almost any occasion, so get in touch and we can talk through the details. We are looking forward to a couple of big home games in December for Leeds United, although the traditionally busy Christmas period has no Elland Road dates for the club. Leeds entertain Reading at home on Tuesday 13th December, before welcoming Brentford on Saturday 17th. That is it for home games in 2016, as the next time we welcome the Leeds United hordes is on January 2nd against Rotherham United, when sore heads will have just about been cured and we will be ready to go again. That unmistakable, winning combination of Leeds United, beer and the Old Peacock; heading into yet another year. Merry Christmas to all our customers and Leeds fans everywhere, from all of us at the Old Peacock.